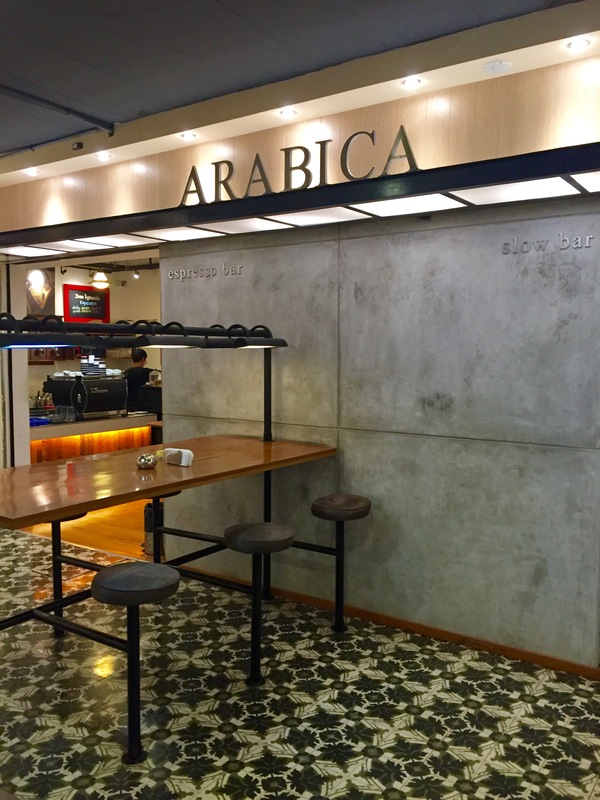 Nestled in the back of the Larcomar mall in Lima, Arabica Espresso Bar is considered one of the best, if not the best, coffee shops in Peru. After wandering around the mall for awhile, I came across Arabica Espresso Bar. I had heard of it before but had no idea where it was located. When I walked in, there were quite a few people, but it was quiet and the cafe had a relaxing feel. To one side, there was a bar designated for coffee brewing (the slow bar) and on the other side there was a bar designated for espresso and espresso drinks. The coffee menu was also quite extensive. They not only offered an array of espresso drinks but also provided many coffee brewing options as well. 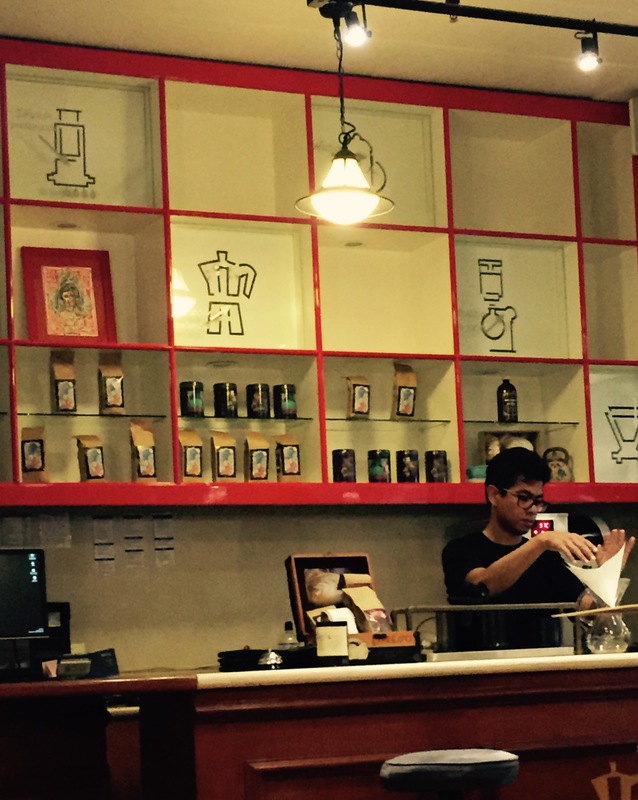 Customers could choose one of eleven different ways to have their coffee brewed. I was in heaven. I’ve been really into Chemex brewing lately so I decided to go with that to be able to best compare with other coffee shops I had recently been to. The barista took his time with the brewing which made me feel good about how my coffee was going to taste. 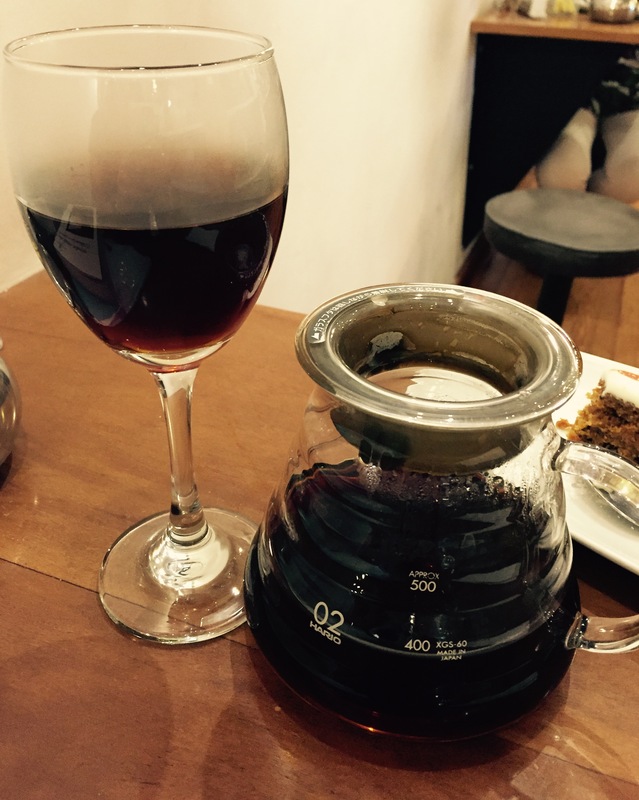 To my surprise, the coffee was brought out to me in a wine glass. This is the second time I have encountered this and the first time was also in South America when I was in Brazil at Coffee Lab. The suspense was building, so finally when I took my first sip I was very pleased. The coffee was rich in flavor and very bold (my mouth is watering as I reminisce about the flavor). The coffee was also kept at my table in a Hario glass pitcher, which allowed me to take my time as I drank the coffee in my glass. I had also heard that their carrot cake was very delicious, so I decided to go ahead and order some. I am not much of a cake person, but this coffee cake was amazing and surprisingly complemented my coffee very well. Peruvian coffee is not on many people’s radar, but now I feel it should be. Arabica Espresso Bar was definitely one of my favorite coffee experiences, thus far and I highly recommend. There’s something romantic about a coffee shop hidden in a corner next to a bookstore and right by the ocean.